This program is perfect for you, if you have little or no experience with Adobe’s Creative Suite, which is commonly used for professional graphic design, video editing, and web development. If you like and appreciate graphic design and consider yourself creative, you are well suited to this program. In this program you will learn how to use five key programs in the Adobe suite: Dreamweaver, Illustrator, InDesign, Photoshop, and Animate (formerly Flash). Learn about typography and formatting text. Learn to create and optimize images. Learn to create and configure for web technologies. Get comfortable with the CC user interface in all five programs. Learn to work with drawing tools. Learn about styles and templates. In the Adobe Certified Associate program, you will learn five of the most often-used Adobe programs: Dreamweaver, Illustrator, Photoshop, InDesign, and Animate (formerly Flash). You will read short readings, complete exercises and watch video demos and reviews of exercises, take quizzes and exams, and complete a project. 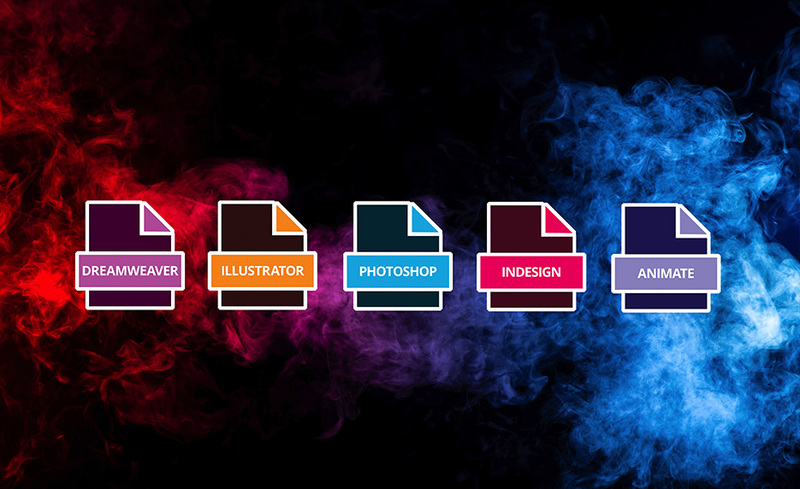 By focusing on these five programs, you will learn how to put all the parts and pieces together to develop the Adobe Creative Suite skills needed to be professionals in the design field. This program is entirely online and is completed at your own pace. When you register, you receive twelve (12) months to complete this program. Proctor fees may apply, which are not included. This program can be taken from either a Mac or a PC. It is compatible with the Windows XP and later operating systems, Firefox, Chrome, or IE 7 and later browsers. You’ll need the five programs used in this course: Dreamweaver, Photoshop, Animate, Illustrator, and InDesign. You can download free trials of the Adobe Programs here, but they last for only 7 days, so most students will need to purchase the software to complete the course." Students should be comfortable using a personal computer, mouse, and keyboard and able to launch and close programs; navigate to information stored on the computer; and manage files and folders. Tracy Berry has been a senior graphic designer/programmer, instructor, and consultant since 1993 and has developed hundreds of logos, marketing materials, websites, and multimedia solutions for customers worldwide, including involvement in large corporate software rollouts. Tracy has helped many organizations optimize and streamline data solutions. She teaches both onsite and online courses and has her CTT (Certified Technical Trainer) certification. Tracy specializes in teaching graphics, desktop publishing, web design, reporting/productivity applications, as well as the creation of online courses with software from leading vendors. Yes, Adobe Certified Associate exams. Information about the exams is available here. To sign up, start by locating a testing center here, and then contact that testing center to schedule the exam.